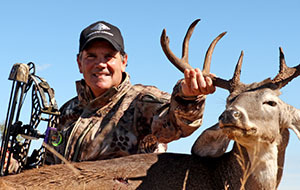 Ted takes a mature 12 point buck with his Mathews bow on his family farm in Michigan. The whitetail season is always fun to kick off in Kansas with Wicked Outfitters! That early muzzleloader season is a great way to break the ice and kick off the season with a Thompson Center TKO! 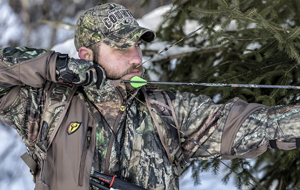 The guys kick off the early season in Montana and are faced with brutal temps and slow deer movement but manage to make a 2nd trip and close the chapter on a great buck they had chased in the early season. 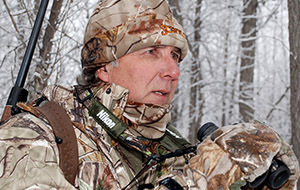 The Iowa whitetail season is in full swing. Cousin Dave joins the crew and tries to fill his tag. 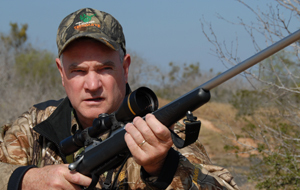 This week Jim heads to New Zealand to hunt the red stag that roam that remote Island. 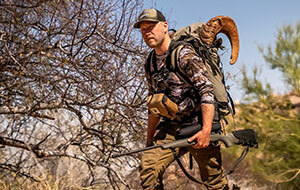 After missing a giant ram, Gregg Ritz heads south of the border for one shot at redemption in the desert. 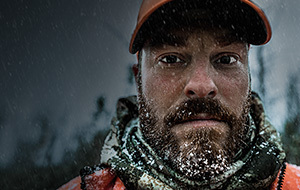 David Blanton battles the harsh weather conditions of late season in Iowa in hopes of tagging a monster whitetail. We are westbound this week chasing longbeards in Oklahoma. 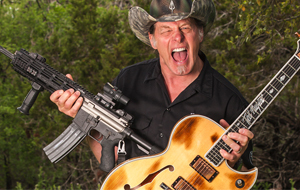 Ol' Jimmy is rearing and ready to roll out some Rios. The curse of the Voodoo swamp stand continues at the Hooray ranch in Kansas part 2! Braba Ranch in South Texas is a great story of land ownership. 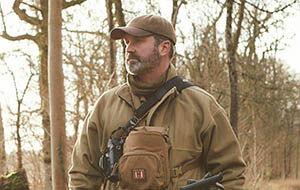 The management and harvest plans have made this place on top of the list for a visit from Tecomate Whitetail Nation. 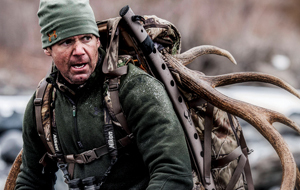 Bowhunter Dan Pickar heads to the timber of central Wyoming for a DIY elk hunt. This public land hunt is packed with elk encounters. 250 miles off the eastern coast of Australia, lies Wreck Reef, home to monster-sized GTs. 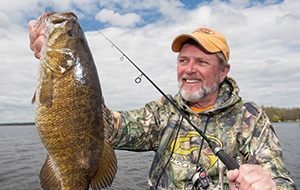 Al Lindner spends a day on the water with the editor of Target Walleye, Brett McComas where they discuss the latest trends in walleye fishing. 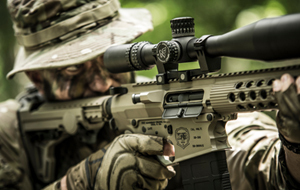 This year, the Drop Zone is hunting the Midwest hard! 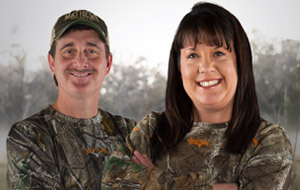 They have their own lease in Missouri to hunt anytime they want! Bow season and gun season whitetails are on the agenda! Kip and his Hoyt are on a roll and spoiler alert - he arrows a SUPER FREAK in Kansas!! Chris Sells of Heym travels to the land of Kilimanjaro in pursuit of adventure and a chance for one of the monster leopard Tanzania is known for. Highlights from the 8 Wild Boar Fever shows that have Captivated Europe. 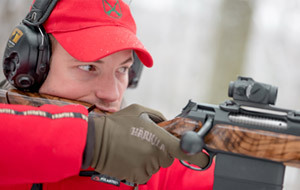 With emphasis on driven hunting basics from country to country across Europe. 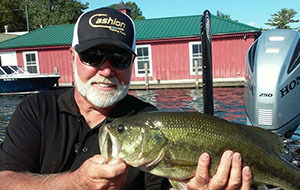 Charlie and Ray are fishing today in Spotsylvania on Lake Anna with John Crews, B.A.S.S. 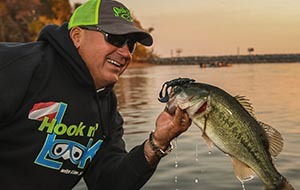 Elite and SPRO Pro and Andy Thomasson, Avid Tournament Angler as they use SPRO's arsenal of baits. Accompanied by his friend Mike Ebach, Kim probes the vegetated aggregation of cattail reed beds. Then later capitalizes on the knowledge learned with a new weedless hollow-bodied bait by Strike King-the Hack Attack Pad Perch. 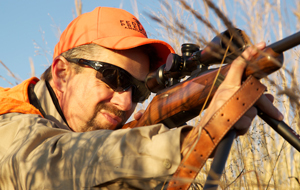 Elk Ridge Knives joins The Fowl Life crew in the Sunflower state. Jim travels half way around the world to Turkey to go after free ranging Asian Roe deer that roam the hills and valleys of that culturally diverse continent. This isn't a sitcom straight out of the 70's, this is Southeast Iowa Freak Tyler Rees taking his first Number one of the Buckdown and doing it with a buck he calls…Dynomite! 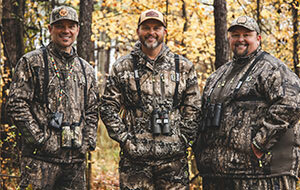 Tim Anderson, Jake Meyer and Dustin Whitacre hit the ground running in Oklahoma where the big birds are gobbling. 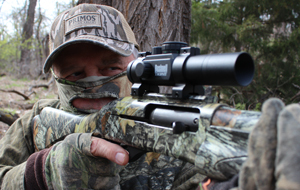 Red dirt hills and grassy arroyos frame a fantastic three-man hunt. 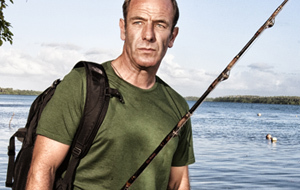 Robson travels to the third largest island in the world, and one of the most biologically diverse landscapes known to man, to catch fish with super-powers. 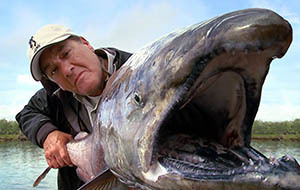 He teams up with some Borneo anglers to catch a deep sea monster that can become invisible. 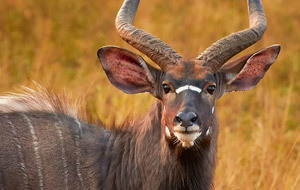 The stunning antelope of Africa are gorgeous, elusive, and cherished memories for host Chris Dorsey. 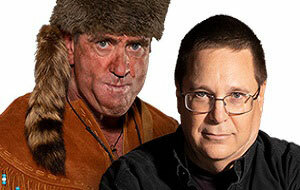 Realtree's turkey season jam packed into one show. 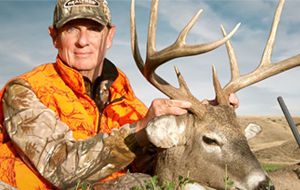 Five years in the making, Gregg Ritz aims to write the final chapter in the story of how to build a buck with special guest Dr. Grant Woods. Hunting Chef Mike and his wife Claude hunt roe bucks in the south of England during the late summer rut. Mike prepares a surprise venison feast for his family: Slow-cooked Whole Roe Deer Saddle, Grilled Chops, and a mouthwatering Onion Tarte Tatin. 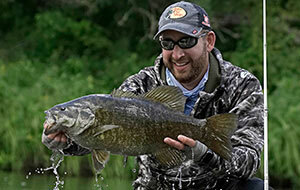 Host Ott DeFoe hunts down double-digit Largemouth Bass in late January. 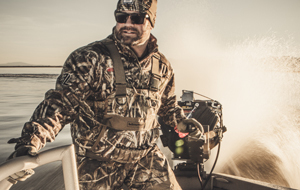 Making his first ZAFS appearance, Texan Todd Castledine is a local tournament slayer. Let him loose on bass fishing sacred ground like Sam Rayburn and you know you are in for a T.I.M.E..
Jackie travels to Unalakleet, Alaska where he takes a nice grizzly with a rifle. David Morris heads back to his old stomping grounds of Georgia and visits the Buckelew Farm. This is a Tecomate Showcase property full of wildlife and amazing woods. Dave travels to Billings, Montana to surprise rescue diver JR Chapman and take him to Mexico for unlimited coyotes and javelina. 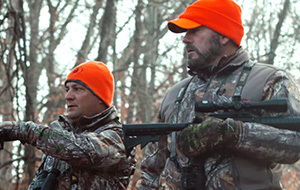 Montana Wardens spend a week tracking the killer of two out of season deer. 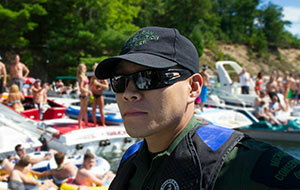 Anonymous tips and eye witness accounts keep the Wardens hot on a trail filled with many twists and turns. 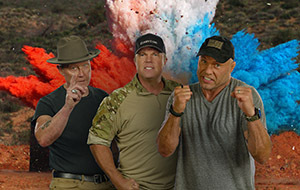 The Gunny makes fast friends with Captain John Kleinheinz of the Maricopa County SWAT Team and talks all things SWAT, from the units that make up a SWAT Team, to the inner workings of the team. Terry and Larry are going to test a famous scene from Underworld with Kate Beckensale. Terry will attempt to shoot a circle around himself in the floor and fall through to save himself from the pack of werewolves. 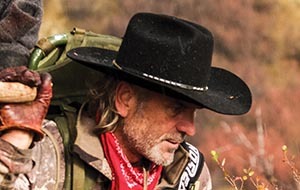 Nick goes on his first Public Land elk hunt near the charming and historical town of Meeker, Colorado. 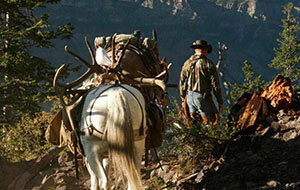 The hunting is far from easy, but the people of the famous Ripple Creek Lodge make an experience of a lifetime. 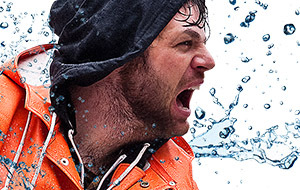 With base camp set up and the cold setting in, Chris and Casey must find food…fast. Their energy levels are depleting as they begin their hunt for moose. 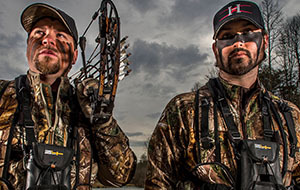 As time ticks on, the brothers must think on their feet to find food…or risk going hungry. Ten strangers unite to tackle a spectacular wilderness expedition. 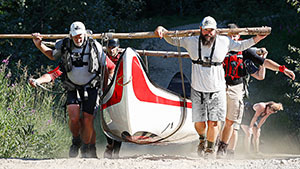 They will travel 750 miles and must complete their journey in only 28 days if they hope to share in a $500,000 cash prize. With half a day left in the Alaskan king crab season, the crews race against the clock to get as much crab as possible. As the race to unload begins, minutes can mean the difference between unloading immediately or waiting in the harbor for days. 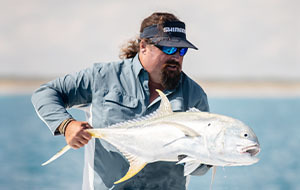 Carter heads to the Yucatan Peninsula to fish with La Pescadora lodge owner Lily Bertram, and experience yet another incredible fishery in Mexico while targeting Permit on the fly in Ascension Bay.